Happy Thanksgiving! Here at Hazelwood Allied, our Santa Barbara movers are thankful to all of our friends, families, neighbors and customers for their support and patronage. We're especially grateful to customers like Jenny for sending us heartwarming feedback! We are also thankful about living in the Santa Barbara area because this is a great community with beautiful weather all year long. We don’t really have to worry much about weather implications when considering a local move in Santa Barbara. But, sometimes you need to make a cross-country move for family or job reasons. If that move is to a colder climate, you will be in for an adjustment period. Be road ready: Driving conditions in colder weather are challenging, so have your car serviced before you leave to make sure the brakes, tires, and fluids can adapt. Ask about windshield solvent that won’t freeze. Take a few winter driving lessons to learn how to start and stop cars safely. If you are shipping your car, be sure to put in an emergency kit with blankets, flashlights, flares, food items, shovel, first aid kit, and some kitty litter that can help provide traction on slippery roads. You’ll need a snow brush and ice scraper, too. Have warmer clothing available: Cold weather is serious business in other parts of the country. Have your heavy coat, sweaters, boots, gloves, hats and scarves easily accessible so you won’t get caught in the cold. Holiday decorating: If you are moving in December, you will still want to put up a few holiday decorations in your new home, but keep it basic for the first year. You probably won’t get a chance to put up the outdoor decorations, so they can stay packed until next year. If you will be moving back to Santa Barbara, you can keep some of your belongings in our safe and clean storage units in Santa Barbara, and get them out when you return. Once you get settled in, you might even find that you enjoy some of the cold weather activities, but don’t worry - they do have warm days in those parts of the country, too! Our Santa Barbara moving company is celebrating 100 years as one of the best Santa Barbara moving companies. We are happy to help our customers have a safe move wherever they go. p.s. 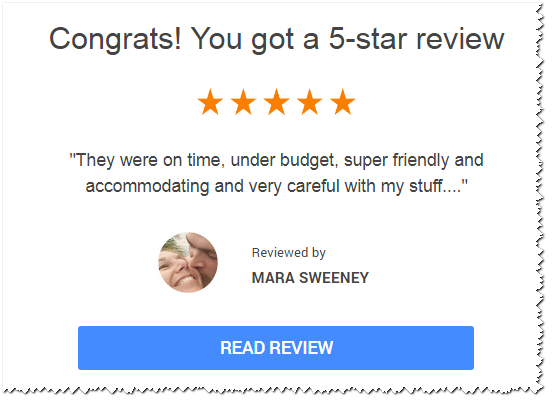 As you know, businesses today thrive as a result of the reviews they receive from customers. If you're feeling in the mood, rate us on Google or YELP or Facebook, every rating helps! Many of you have been fantastic in showing your support and it’s truly appreciated. 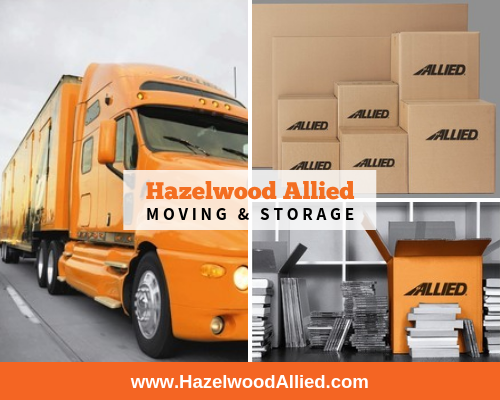 About Hazelwood Allied Moving and Storage: Servicing Santa Barbara, Montecito, Hope Ranch, Goleta, Santa Ynez, Solvang, San Luis Obispo, Ojai, Ventura, Camarillo, Thousand Oaks and Los Angeles, Hazelwood Allied is one of the oldest family-owned businesses in the Tri-County areas. Known as “The Careful Movers,” our Santa Barbara moving company has everything needed for residential moves and commercial moves, along with a full range of Santa Barbara storage units. Visit the website at http://www.hazelwoodallied.com to read testimonials about our Santa Barbara movers. “Like” our Facebook page for moving and storage tips. Call 800-541-5958 for a free moving estimate.